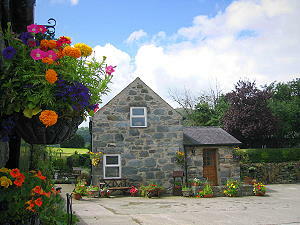 Short breaks available for off season dates. Please contact owner for last minute bookings. 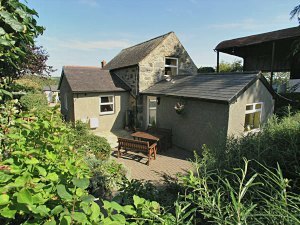 The well-equipped 4 star, 3 bedroomed cottage provides a high standard of self catering accommodation and comfort throughout. It is suitable for all ages with a ground floor twin bedroom and bathroom. In the bedroom there is a basin and TV and access to a patio area, and the bathroom includes a bath and shower. 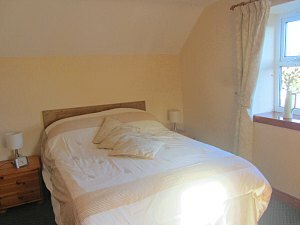 Upstairs there are 2 bedrooms tastefully decorated containing a double bed in one and full sized bunk beds in the other. A cot and baby chair are also available upon request. The traditional open beamed lounge is equipped with a skybox, DVD, video recorder and CD player. Wi-Fi is available for those with their own wireless devices such as laptops or tablets. 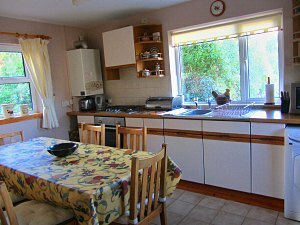 The spacious kitchen diner includes a fridge freezer, microwave and washing machine. 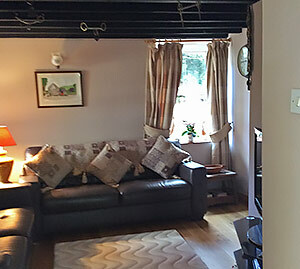 The cottage is gas central heated throughout by a combi boiler. Bed linen, electricity and towels are included in the rental. Gas is extra by meter reading throughout the year. There is ample parking and visitors can enjoy a private patio area with gas BBQ and garden as well as a covered play area for young children with a wide selection of bikes, toys and games for children to enjoy.